Home BRANDING AND PROFILING AND PROMOTIONS BUSINESS ADVERTS AND CONTACTS FILM-MAKING RESOURCES Good Movie Marketing Strategies: Marketing your Nollywood or Hollywood movies? 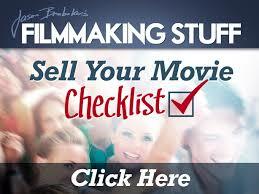 Here are tips to make your movie sell quick! Good Movie Marketing Strategies: Marketing your Nollywood or Hollywood movies? Here are tips to make your movie sell quick! Click here to see a list of creative Nollywood movie scripts for sale. They are already reviewed and ready-to-shoot spec scripts. Note: Send a mail to scriptsandpapers@gmail.com. We will collaborate with you to make your movies and maket them. You need not use the A-list actors before your movie can sell. All you'll need is to 'package' the movie well, make it marketable, and it will sell. Before your movie is released, after it has been produced, here are some tips to help you market it and make huge sales. Write a short story, and use it to announce on social media of a possible movie-shoot based on that short story. Your audience will sure read the short story; and this will make them imagine what the scenes and the characters in the short story would look like if they were to be seen on a tv screen; and I bet they will long to see the movie produced if it would be possible. And after you release the movie, they will love to grab a copy; that's because you have created the suspense already! It's true you'll make some money when you post the film on youtube, but the money will be more if you post it after the movie has sold out very well. In other words, just do not expose the film before it finally starts making waves around the country. Allow the audience beg you to post it on youtube. Present the movie synopsis at every point in time. Let the synopsis precede the movie everytime. The audience always wishes to get a brief overview of the movie they want to watch. Let the movie trailer show more of action dialogues than action scenes. This is in a bid not to expose the movie toomuch, and it will make the audience hunger for the action scenes. The action dialogues will create in the audience an anxiety that an action scene will follow suit. So they will hunger for the scenes; and consequently buy the movie in order to eventually see the scenes. But, be sure to create a good trailer that shows just the most succinct messages in the movie. A very good movie trailer and synopsis shows a little about a movie, but creates enermous suspense about the movie. Make a tempting deal with a movie marketer. Present him a deal he will never resist; a tempting one he will grab wholly. Let the deal be the type that can make him 'push hard' and market the movie. Yes meet all those local movie vendors and tell them about your movie, they can sure help you make sales. They have the power of convincing even non movie freaks to buy your movie. They would claim they had watched it, and that it's thrilling. Also make use of local gatherings for premiers. Not only big cinemas, which you may not even have access to can help you generate money, local cinemas, bars and resturants can help you too. Just liase with the manager of the bar or resturant, make a deal with him and let him do the job for you. Create a good movie CD pack and poster showing one of the most amazing scenes in the movie. Movie lovers would love to see atleast an eye-catching picture on the pack or poster; it can trigger their interest in the movie. You need to also show the face of an A-list actor if you have any in your movie. Get a good copywriter or advert writer that can help write 'sweet' words about the movie. Just send us a mail at scriptsandpapers@gmail.com and we'll help you out. Look for sponsors no matter how insignificant. The sponsors with their trade marks can help market the movie. Even if they don't provide you with funds, just make sure they endorse your movie. Don't be in hurry to finally release your movie. Just make sure every marketing strategy has been put in place.